Light, bright and comfortable describes this Gulf front condo. 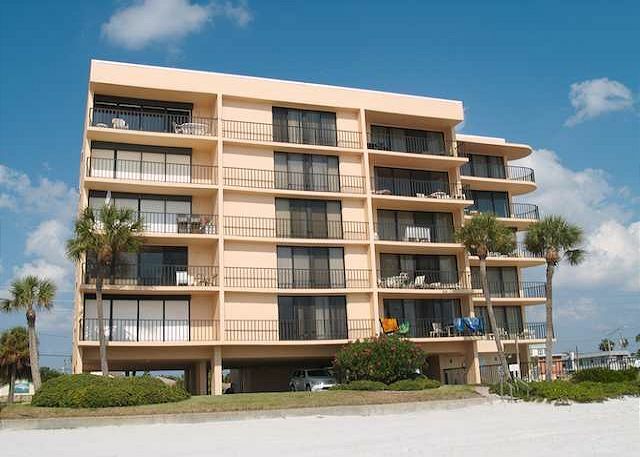 And, it has a fantastic million dollar views of the beach and Gulf of Mexico from every room as well as the balcony. The remolded kitchen is fully equipped. This beachfront condo has a King bed in the master bedroom and 2 queen beds in the guest bedroom. Your condo has tile throughout, 3 flat screen televisions and free wifi internet service. Loved the location and size of the building. Quiet beach location close to John’s Pass. Liked the smaller building. Lovely condo. Loved that both bedrooms were gulfside. Decor and furnishings were nice. Tight hallways-pocket doors could improve this. Very few places to hang towels. Tiny pool and sitting area! Extremely disturbing that weekend maintenance was fine with a non-working smoke detector. One was chirping with no battery when we arrived. They told us to either buy a battery or disconnect it until they could come on Monday! Thank you for your feedback from your recent stay. We are so sorry for any smoke detectors that may have needed the batteries replaced and the troubles it presented. We did speak to the owner and we may add some additional towel bars for everyone's use, thanks for letting us know this would be helpful!! Being a smaller building it is true that the pool area is a bit smaller as well but we are so glad to hear you enjoyed the beach and condo itself, it really is a lovely unit!! Thank you for choosing to stay with us and we hope to have you back for another visit in the future. We had a wonderful relaxing peaceful 9 days staying in Trillium 2B Madeira Beach .Sitting on our balcony at breakfast time watching the dolphins ,pelicans and an assortment of sea birds catching breakfast was fantastic .2B had everything we required and was beautifully decorated.The warm Gulf to swim in and the miles of white sand for walking on was all that was required for our relaxing holiday.There are a good few restaurants at John's Pass to eat in and a Publix grocery store close buy .Resort Rentals were excellent to deal with no hassle either on the phone or by e mail and I would certainly recommend anyone to book through them .Hopefully some day we will return to Madeira Beach . Nice clean condo. Great beach view. Condo was updated however it really needs new pillows. A lack of attention to this detail was frustrating. The building is older and the lobby and stairs need some serious updating and a good cleaning. Overall, if you are looking to be right on the beach and do not care about being in a lush resort this is the place for you. Thank you for your feedback from your past stay. We passed this over to the owner for their review and they have replaced all of the pillows on the bedding, thank you for letting us know! In regards to the building itself, we will share this with the condo association that manages and provides service to the building. We are glad to hear you enjoyed the beach location, it really is awesome and we hope to have you back for another visit. My family always has a great time there! Wonderful!!! 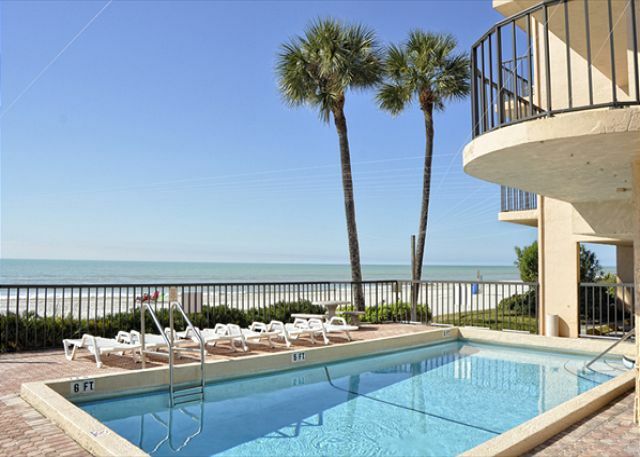 We are so glad you enjoy your time on Madeira Beach and that your stay in this premier condo was a good fit for your family! Thank you so much for choosing to stay with us and we hope to see you back for another visit soon! Excellent experience! Condo is well kept and equipped with all your needs. Wonderful!!! We are so glad you enjoyed your time in this premier condo in our program, it really is an AWESOME unit!!! :-) Thank you for choosing to stay with us and we hope to see you back for another visit soon! Excellent. One neighbor was a bit loud in the evening. Great to hear, minus the noisy neighbors!! We are sorry for any disruptions that came from that. We hope outside of that you enjoyed everything in Madeira Beach and the surrounding area and we hope to have you back again soon! This unit had the best views. Balcony off the living room and both bedrooms facing the ocean. Very Clean. We loved that it was a smaller complex. Not as crowded. Will definitely return. Thanks for the post! 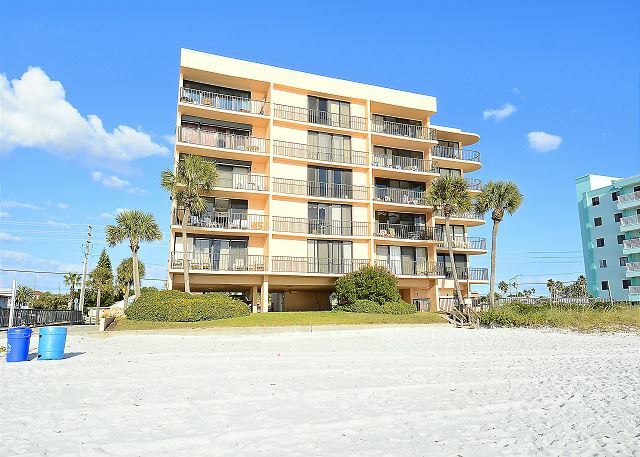 We are so glad you enjoyed all that this premier condo on Madeira Beach has to offer, it really is a great condo on an AWESOME stretch of beach!! :-) Thank you for being our guest and we look forward to your return visit! Beautiful balcony view. Nice, clean and safe area. 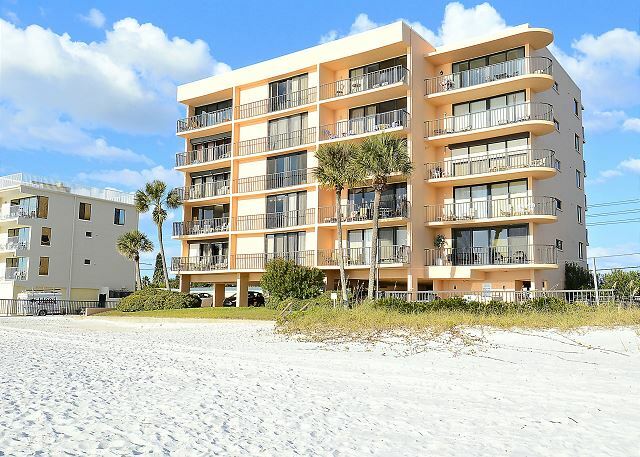 So glad to hear you enjoyed this premier condo at the Trillium on Madeira Beach, it really is an ideal location with amazing views!!! :-) Thank you for choosing to stay with us and we hope to have you back for another beach vacation soon! All was well except for the beds - very uncomfortale. We are so sorry if the bedding in this condo was not a good fit for you! These beds are actually therapeutic mattresses that are fairly new so they may be a bit more firm than others. We are sorry if they were not a good fit for you though but are glad to hear that everything else went well! 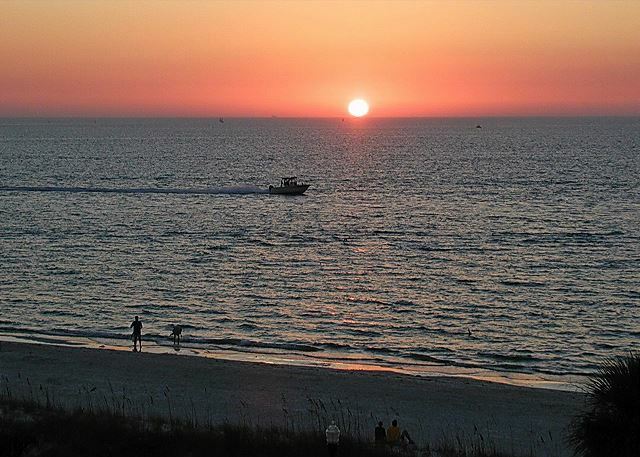 :-) We hope to have you back for another Madeira Beach vacation! Love to hear it!!! :-) Thank you for choosing to stay with us and we will see you for your next Madeira Beach getaway!! We had a fabulous vacation! The condo was very clean and comfortable! Sitting on the balcony and watching dolphins swim was so rewarding! So great to hear you had a wonderful vacation and that the dolphins put on a good show for you!! :-) Thank you for staying with us in this premier condo at the Trillium and we look forward to your next visit! Unit was clean, quieter than others we have stayed at, great location, we will be back for our 3rd year! Had a wonderful stay! Great beach location. Unit was very accommodating. Had everything we needed. Pool a little small but spent majority at the beach anyway. Located 1 mile from boardwalk but trolley stop located right out front. 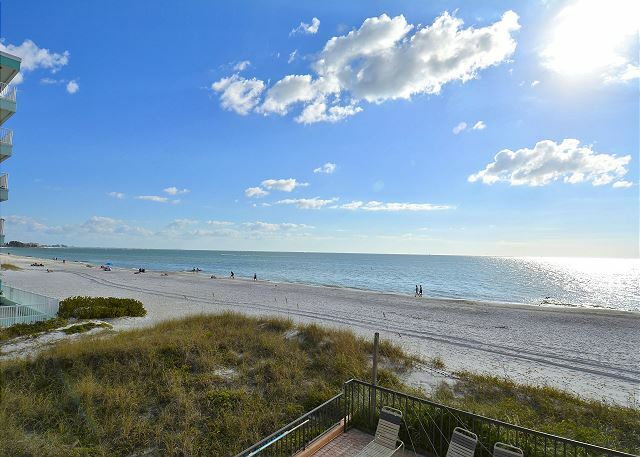 So glad to hear you enjoyed this condo and the location on Madeira Beach!! 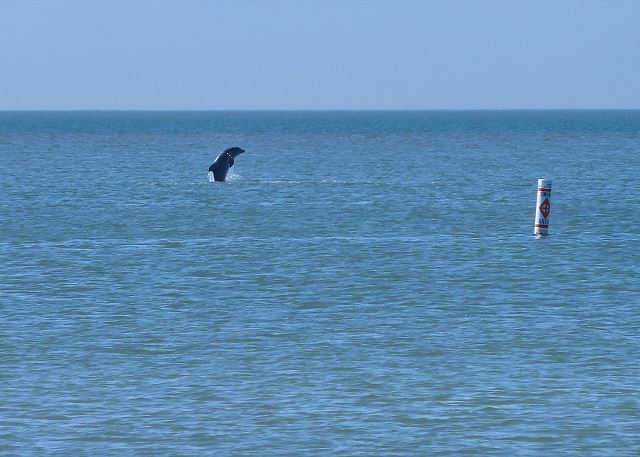 :-) The beaches here are just awesome and we are so glad you took advantage of them! Thank you for choosing to stay with us and we hope to have you back again soon! We had a very good time and enjoyed ourselves in Trillium 2B. This Condo was great. Clean and well maintained. short walk to John's pass, enjoyed the beach and pool, I wish they had a grill. We were very happy with our stay at Trillium. From the time we opened the door and saw the view till we left it was a perfect fit for us. Clean, roomy, convenient. We were very happy with it. The Trillium is a great place to stay. It's nice that there only 15 units (I think) so there are not that many people. It's nice that the beach is a quick walk to the water unlike further north and south. There was a Publix a couple of miles away. The air conditioning was not as cool as another unit where we had family staying but it wasn't unbearable. It would be nice if grills were allowed because we would have liked to cook outside. The unit will accommodate 6 people so it would be nice to have more than one parking spot, but understandably can't because of the size of the building. Other than that overall it was a really good stay. I would recommend the Trillium for sure. It was nice, the condo was very nice. The elevator did not work a few days which was an issues cause my mother has a walker. I haven't heard back in regards to the issue. But it was up and running at the end of the week. View was great! Thank you for your post! The elevator problem at the Trillium that you experienced was nothing that was scheduled and unfortunately it was an unplanned issue. The condo association did get someone out to take care of things but we are so sorry that it happened during your stay with mom! Absolutely gorgeous condo and beach! Condo was perfect! Clean, comfortable, fully stocked and the views of the ocean from living room and bedrooms were amazing! We are definitely going back! We have dealt with private rentals in the past (VRBO)in the area and there is a difference between amateurs (them) and professionals (Resort Rentals). It was a pleasant experience dealing with RR. No security deposit so no hassle getting it back. Clear late check in and check out instructions. And you can pay by credit card. Real people in the area if there ever was a problem. Real people on the phone to discuss accommodation options. Only downside is paying tax and the small RR fee. The unit was very well equipped with newer appliances. The washer/dryer was great. The TV takes some learning and the internet a little slow but were acceptable. The beach chairs are beat up so we rented ($60) a really large beach umbrella and two nice loungers from Joe, just down the beach, for the week. He sets up and looks after them all week. 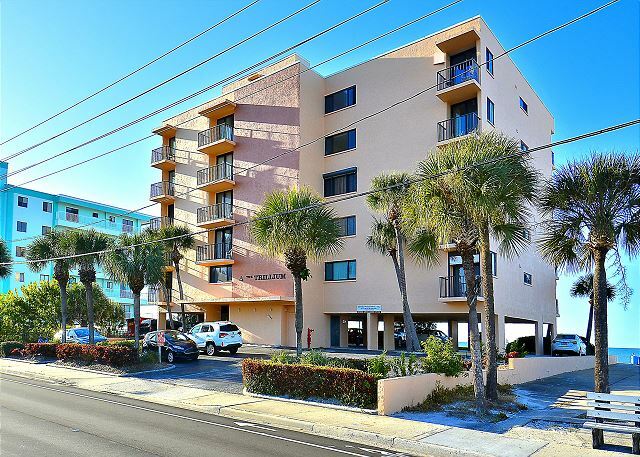 The unit is right on the beach and within walking distance of Johns Pass to the Winn Dixie with several restaurants and bars in between. One does not really even need a car! Friends of ours next door staying for 6 weeks only have a car for 3 days when they first arrive. This was sort of a trial run so next year we are staying longer. I would recommend this property but only certain units. The beach is very nice. We stayed in 2b nice unit. The only major issue for us was the balcony railing. The spindle spacing is to far apart. We were traveling with our 4 and 2 year old and my 2 year old's head could fit right through the spindles so there was a chance should could fall right off the balcony. We bought lattice from home depot and zip tied it to the railing to keep everyone safe. We loved the oceanfront condo. Sitting in your living areas and bedrooms with a direct view of the ocean was wonderful. The pool is small but it seems like most pools are smaller in the area with the focus being directly oceanfront. The furnishings and cleanliness were all great. This would be a great unit for an older couple with only one step down to the beach. Although the building is older it's well maintained and the furnishings within the condo were updated. Great location for restaurants all the way from Clearwater to St. Pete. and for jet ski's at John's Pass and boating on the intercoastal. They kept the beach very clean also. It was great , the rental agency was easy to work with.. I would use them again. The condo was beautiful. I had a great view of the beach and a nice pool. The inside was spacious with 2 bedrooms and 2 bathrooms. A great, well stocked kitchen and a washer and dryer. There were plenty of TV's for everyone. I would highly recommend this resort. Our vacation was an annual gathering of our family for a reunion with 19 of us, sharing 3 of these wonderful condos. This was perfect for us...we loved the view, the beautiful beach, and the condition of the condo was exceptional. We had plenty of room to have all 19 in 2B for dinner and more than enough cooking equipment and dishes. Everything was absolutely perfect!! This was our second visit to Trillium 2B at Madeira Beach. 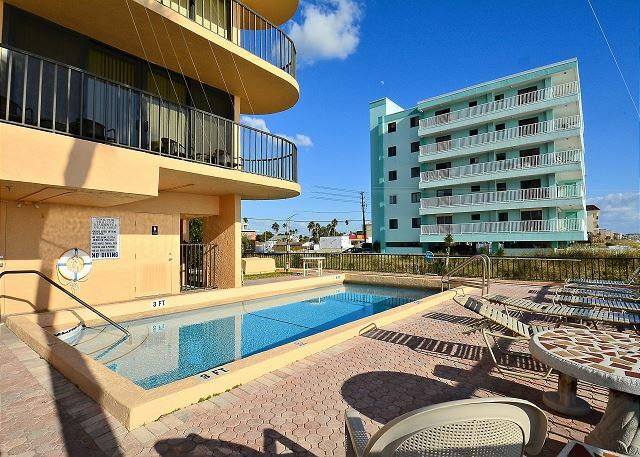 This condo is in a great location, is well equipped and clean on a great beach. 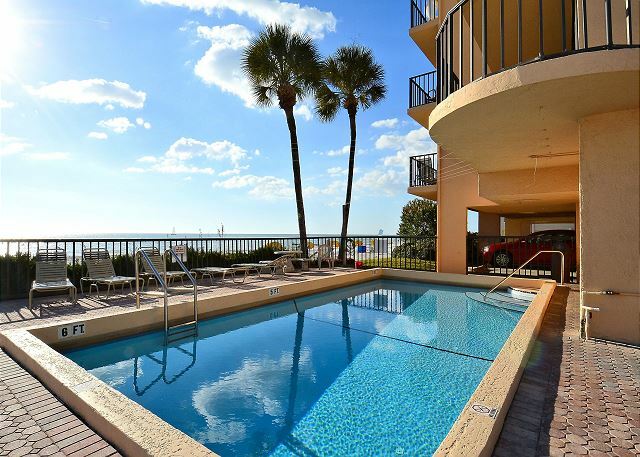 We chose this condo over many others as it has both bedrooms facing the gulf. Hi Fred, Thank you so much for your fabulous review! We are thrilled to hear you truly enjoyed your stay at The Trillium 2B! One of the highest compliments is a repeat guest, and having you back a second time is an accolade we love to boast about! See you in 2016! The Trillium is a perfect size very quiet the buildings common areas are well kept. Close to everything and the beach is second to none. Resort Rentals Gail could not have taken better care of our needs and very sincere about it what a terrific person! This is a spotless condo with an amazing view. It has everything you need to be comfortable for your time away from home. The unit is huge & big enough to accommodate a large family. My wife and I agree that this was the best vacation rental that we have experienced. The unit is enormous compared to rentals that we have had in the past for similar cost, beautifully decorated, and well maintained. 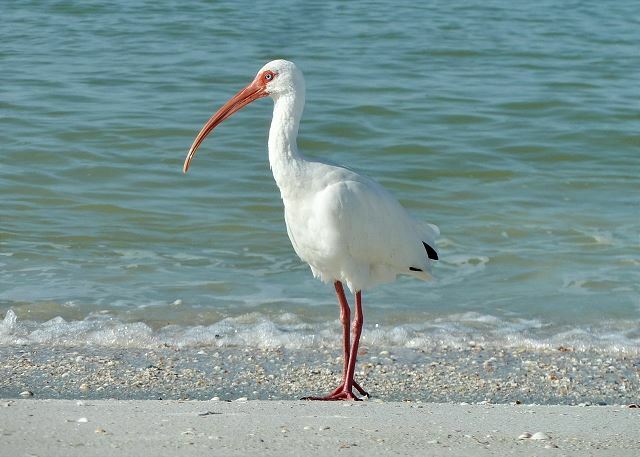 The location is just far enough from John's pass to be quiet and peaceful, but close enough to walk in 15 minutes if you want to go up for some dining or entertainment. I would highly recommend this rental, and we will be back next year! Thanks for your great review! I am happy your stay went so well. Great to hear you will be back next year. See you then! This place is so great that you will want to move there. The condo is so close to the ocean, you can literally see dolphins jump out of the water! When I read the reviews I thought someone just wrote that to entice us. This was our first time renting a condo and I have to say I don't think we could ever go back to staying in a small hotel. The kitchen was gorgeous and we cooked almost all of our meals. The knives could have been sharper though. The living room was very roomy and the balcony was gorgeous to sit out on. Don't worry about the 2 palm trees you read about blocking your view. The balcony is so big you can see the entire beach no problem. This was a review that made us concerned about the view. The bedrooms were very nice too. We were 4 people altogether so it was nice to have 2 bathrooms with a shower in each one. It would have been nice to have Kleenex on arrival though. The condo came with beach chairs and a floating bed etc. Two of the chairs were broken and there was no pump for the bed. The umbrella stand was also missing. Extras were offered through the rental office though if we needed them, which was good. These are really small things, other than that the condo was perfect. There was also a washer and dryer which came in handy on our last day to wash a few things. The beach was nice and quiet for March break if you can believe it. Down the street there is a mini putt course open all day and late into the evening. It does get quite busy at night though. St. Petersburg is also short drive away and offers nice restaurants and art galleries. On Thursday after 5pm the Dali museum is only $10 per person compared to the $24 during the day. WIFI was excellent in the unit, which allowed us to get some work done when we needed to. We are definitely planning on coming back next year. If you are looking for a spot to rent in this area, look no further. The only trouble you will have is trying to leave this place. We decided to take a family trip at the last minute & the Trillium was the only available rental around. We were so lucky! Our family of 4 spent a week in the lovely 2B. Pictures do not do it justice! Friendly & helpful staff, condo was very clean, rooms were spacious, view was beautiful, and it was close to was a great trip. We had a great family vacation. Most days we were the only ones around the pool. The unit was beautiful and we actually saw dolphins from the living room balcony. A nice place if you just want to get away and soak up some sunshine. We did not rent a car but you can walk to John's Pass and take the trolley to get some night life in the St Pete's Beach Area. The only suggestion I have would be to update the foyer (not in line with the high quality of the unit). The addition of a Christmas Tree in the foyer would have been a nice touch. We were two couples spending two weeks at this condo in late November. When we entered the building we were initially concerned about need for cosmetic improvements. But when we entered the condo unit, we were pleasantly surprised. The unit is well equipped, very bright and nicely decorated. Both bedrooms are facing the gulf. Each bedroom has a queen and single bed. The beds were very comfortable. The views off the balcony and bedrooms are fantastic. We saw many dolphins swimming by. We cooked several meals. The kitchen is very well equipped. The structure is well built. We could not hear any noise from neighboring units. We ran into a few owners in the hallway who apologized for the condition of the carpets in common areas, stating that there was some construction/improvements taking place in the interior common areas. We never heard any construction noise during our two weeks. The beach is beautiful and John's Pass is about a 20 min. walk from the condo along the beach. There are many great restaurants within walking distance. We had a fantastic two weeks and will most definitely return to this unit in years to come. Provide a Keurig coffee maker, improve internet speed and allow barbecuing on premises. Thanks for your great review! I will pass on your suggestions to the appropriate departments. Yes....the Trillium is scheduled to paint and re-carpet the hallways very soon. It should look beautiful once completed. Thanks again for your review and we hope to see you again next year! After reading reviews about this unit, I was concerned about the 2 palm trees blocking the view. Not a problem at all, in fact the trees provided a nice shady spot in the corner in the afternoon. The unit was nicely appointed with only minor issues (sticky slider door and screen and inoperable recliner chair). The master bed was a little disappointing; neither my husband nor I were very comfortable on it but we disagreed on the reason (too soft, too hard). It may be the lovely plastic cover that places seem to be putting on their mattresses for protection which makes for sheets that slide around too much. Really, why is that necessary anyway? The complex was just the right size with friendly renters/owners. There were some renovations in 3 other units (at different times during the week) which drove us out to the beach perhaps a little earlier than we would have gone but fortunately wasn't a major issue. Loved the center location which allowed view of the gulf from the bedrooms and good buffer from busy, noisy Gulf Blvd. Convenient to Johns Pass and shopping too. Thank you for your review. I appreciate you taking the time to let us know what you liked about the condo as well as suggestions on areas that you feel could be improved or enhanced. I have passed all of this information on to the appropriate departments so they can look into the situations. Some owners have opted to add mattress protectors for hygienic purposes. The owner has told me that they will look for another brand that will still protect and not cause the sheets to slide around. Thanks again for your review. We hope to see you again next year! As always the location is fantastic. 1)recliner needs to be repaired-doesn't recline & is fixed with tape. we had a flood in master bathroom & clog in main bathrom. the man that fixed them was fantastic! appliances need updating. it is a nice unit though. Given a choice (needs double/twin in 2nd bedroom)I would stay in 2C every year. It feels like home. The guys cut the palm trSorry. Thank you for your review I appreciate you taking the time to let us know what you liked about the condo as well as suggestions on areas that you feel could be improved or enhanced. Hope to see you again next year! We had a wonderful week stay at the Trillium. The condo was spacious, clean and comfortable. The kitchen was well equipped for cooking. It was conveniently located close to restaurants and grocery stores. We loved being right on the beach--the view from the balcony was beautiful and sound of the ocean lulled us to sleep each night. Watching the playful dolphins was an amazing surprise! Our children loved the Pirate Ship tour at John's Pass and of course Candy Kitchen!! We would definitely recommend this property to friends and family and look forward to visiting again in the future. We LOVED this condo and the beach. Not only was the temperature, water and beach beautiful, the condo itself was perfect. The ONLY downfall was the view is partially blocked by the two palm trees. Our family had a wounderful week at the beautyful Madiera beach. It was a relaxing week with a lot of bathing and sun. We saw dolphins almost every day from the beach. The condo was clean and wery well equiped. We can highly recomend it. Resorts Rental provides nice locations and rentals can be one week or two weeks which is difficult to find. Most rentals require a month. The website photos of properties are accurate. 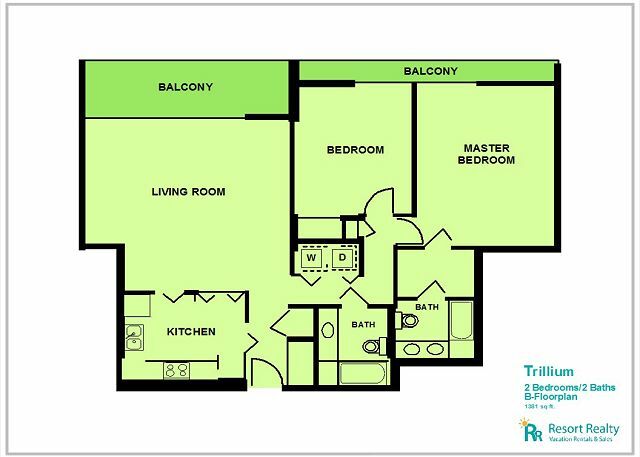 I have rented two different condos at trillium and been happy with both. I plan to try a third property next year. Our 4th visit to the Trillium, our first in 2B and this is definitely the best condo we have had the pleasure of staying in. Well furnished throughout, well decorated and very, very comfortable. My wife tells me this is the best fitted kitchen equipped with every utensil a keen cook could desire - and she used it well! So much more than we have ever had before. 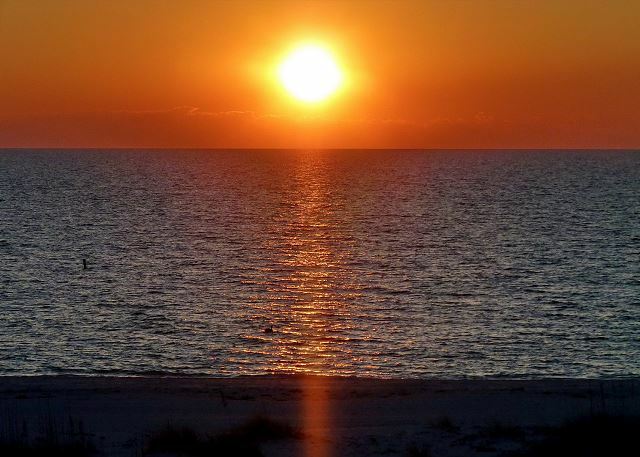 Then there is: The beach, the sun, the Gulf - early morning walks to greet the dawn - the sunsets from the balcony. All magnificent. Lucky us - we had the pleasure of all this from October 6th - November 17th 2013. Thank you, especially to the owners of the condo ... but also to Resort Rentals who look after us so well. 5 star to all. Thank You. We enjoyed 4 wonderful weeks in this beautiful condo. We were delighted to find it in mint condition when we arrived and felt at home from the first minute. We stayed here before and we will certainly be back as soon as possible! We have now stayed at Trillium several times. We keep coming back because we love the location and the views from all the rooms. Can't wait for our next visit. We were pleased with the condo unit and it was nice and clean. The only problem we had was the railing on the deck. We had a two year old with us and we could not take him out there because the posts were too far apart and he could have fit right through them. Beautifully upgraded. Great location & view. "As advertised". Will recommend & hope for a return in the future. This property was absolutely a home away from home. We loved the location and the uncrowded beach area. The kitchen had an amazing amount of kitchen conveniences and each bedroom had a crazy amount of hangers!! These two things are usually lacking in the condo rentals that we have used! I wish there was a guest book to write in to let the owners know how much we enjoyed the opportunity to rent their home. I wish that there was a listing favorite (tired and true) eating places to give us more confidence in venturing out for that. And we wish that there were more hooks or more towel rods to hang towels on in both bathrooms. If there were 4-6 people staying, that would lend to more convenience and avoiding people hanging wet towels over the nice furniture to dry. The remodel is beautiful and thank you for a great week in your home away from home condo! Thanks so much for your great review! I am so pleased you liked the remodel! I passed on your comments to the owners and they are going to install some hooks the next time they are here. There is a guest book either in the kitchen area or near the coffee table. Thanks again and we hope to see you next year! This was our third stay at Trillium. The location and property served our needs very well. Looking forward to returning next spring. We really enjoyed our stay at the Trillium 2B and are considering going back. The location was great as it was right on the beachfront. I am a picky person and felt that the unit was very clean and well stocked. A minor irritant was that patio door screens were jammed open so we could not let the ocean air come in. I certainly recommend this property. The condo was very comfortable and had everything that we needed for the week. The kitchen was well appointed and extras (chairs, umbrellas, etc. )were a great surprise. We have been renting various condos for over ten years and this unit exceeded our expectations. Location was great. We enjoyed our 2013 winter vacation experience at Trillium 2B very much. The condo is clean, spacious, comfortably furnished, and has a wonderful view of the beach from the living room and both bedrooms. It is very well managed by Resort Rentals. Thanks so much for the great review. I apologize for the AC issue and the fact your unit wasn’t ready until 4 pm but I was pleased to hear they did a good job. I was even more pleased to hear you had a great time and plan on returning! 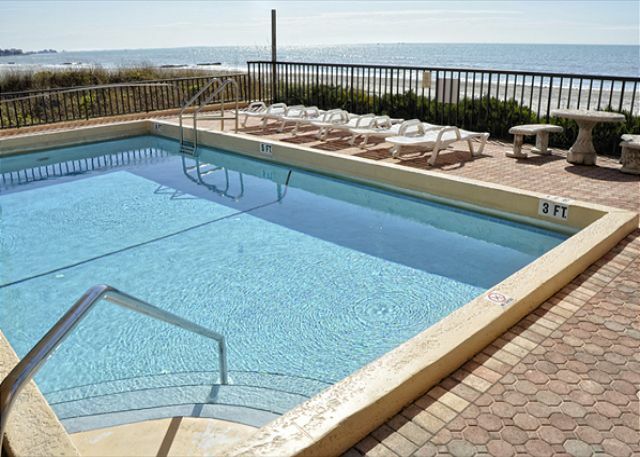 We recently stayed at the Trillium on Madeira Beach. The condo was beautiful and very clean. The area was quiet and low key. Our children enjoyed playing on the beach and swimming in the ocean. The balcony faced the ocean, which was perfect for drinking coffee in the morning and watching the dolphins frolic. We spent a day at Disney, and were pleased with the easy drive. Our plane left later in the day, and we were able to extend our check-out time by a couple of hours. We were appreciative of this option. Overall, we had a very lovely week with terrific weather. I would highly recommend the Trillium. Great location and well stocked condo! We had a wonderful time at the Trillium. It was exactly as the photos posted on the website. Was wonderful to take walks on the beach and go to sleep with the sound of the waves at night. The sunsets were beautiful every night. Janet was great to work with at Resort Rentals! This is our second visit to 2B Trillium. We love the condo layout and the views from all rooms. Everything was great. Just a couple of comments - some light bulbs in the kitchen and hallway need replacing and neither of the clocks in the!bedrooms worked. But we loved it and we hope to be back again soon. Thank you for your wonderful review. I am glad you enjoyed your stay again. Repeat business is the highest compliment we can receive and we truly value that. I have passed on the information you furnished us to the owners and they assure me that the light bulbs have all been replaced and they are purchasing new clocks. In the future, if anything is not up to par, please do not hesitate to give us a call. We have no problem revisiting a property to make things right. Thanks again for taking the time to review our property. It is constant feedback from our guests that allows us to continue to improve both our product and our services for the future. See you next year! This condo is newly renovated and beautifully decorated. It is spotlessly clean and very has a wonderful view of the beach and the fully furnished balcony is perfect for watching playful dolphins and breathtaking sunsets. We enjoyed our stay very much. The unit was spotless! We´ve been here before, but this time it was a little different. The new cleaning crew did a very good job. We´ll be back as soon as possible. Loved the views and location. A few maintennce jobs are required - there are some squeaky fans and some light bulbs were not working etc. but overall we were very pleased. The layout of the condo was excellent and we loved the views from all the rooms. Can't wait to come back again in December. so nice to go down to beach and pool so quickly. Grandkids had a great time running back and forth from the beach to the pool. Beds a little hard, and any one with young children please watch because they can fit through the balcony railings. Other wise just a great place with everything you need. The condo was beautiful and right on the beach. The pool was very small but since you are just a few steps from the beach it did not matter that much. Trillium 2B was beautiful.Beaches clean. Location close by to shopping. Kitchen fully loaded. In all the condo's I stayed in , it was the first place I could cook with out having to buy foil cookware. We picked up an eggcrate to put on the bed. Other than that things were great and the weather was perfect. We had a great experience at Trillium 2B. The condo unit was recently updated and exceptional. The building is small, so there is no chance of an overcrowded beach. The convenience of being less than a mile from John's Pass was very nice. The Edgar's, Norwich, Norfolk, England. It´s always a pleasure to rent a vacation home through Resort Rentals. They are very helpful and friendly! Everything was very nice and very private. My family and I had a wonderful vacation. We would repeat the vacation here over again. Very safe and secure location. Thnak you for everything! We had a blast at the Trillium--ocean-front access, first-rate accomodations, and being with great friends! I love this place. Look forward to coming back in the years to come. The location was awsome, the rental staff was very friendly, the floors was not very clean and some of the dishes were put away dirty. Everything else was great. Had a great time. We enjoyed the condo very much, we had a very nice vacation. Accommodations were great. Weather was very hot. I would like to suggest that if barbecue pits were available it would be great.